Does Your Home Insurance Limit the Coverage on Your Roof? 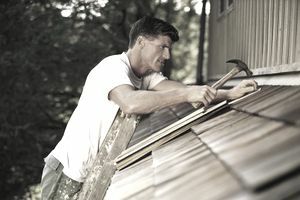 Home insurance provides coverage for your building and your contents; one of the coverages is insurance for your roof. Depending on the type of policy you have, insurance companies may put clauses into your coverage that limit certain aspects of your home like the roof. Roof insurance will include coverage for various types of damage, but roof insurance may also be limited to Actual Cash Value (ACV) or replacement cost coverage. Here's how to know what the difference is for various kinds of roof insurance coverage and what it means for you. Do You Need Special Insurance Coverage for Your Roof? When we talk about roof insurance, it may seem like you need some kind of special insurance, but you don't. Roof insurance is included in your homeowner policy, but the coverage is not the same in all policies. Is it All Risk or Open Perils Coverage for your home and the roof, or is it Named Perils? Named perils limit the coverage. Do you have Replacement Cost Coverage on your home including the roof? Or will claims settlement be on the basis of Actual Cash Value (ACV)? What is the limit of insurance for the structure (including the roof), and what is the deductible, and in some cases, do you have a waiver of a deductible for a large loss? What Is Full Coverage Roof Insurance? Full coverage roof insurance would be when you have an open perils policy, without any limitations on the roof plus a basis of claims settlement that is replacement cost. It would be known as "full coverage" because it includes the maximum amount of perils (sources of damage) covered as possible and also gives you replacement cost. What Is the Difference Between Actual Cash Value Roof Insurance and Replacement Cost? The difference between replacement value and ACV is that in replacement value they do not take into account the depreciation, and will pay you the replacement value, which means you will get what you need to replace it new or repair it like new, less your deductible. Sometimes insurance companies are willing to negotiate, or may not have all the facts. Learn more about negotiating with your insurance company. This may make the underwriters reconsider their decision. When Does an Insurance Company Limit the Roof Insurance? The insurance company may put a clause on your policy stating that the basis of claims settlement on the roof will be actual cash value and not replacement cost because they have paid out too many losses on roofs and are looking for ways to reduce their costs. When an insurance company is paying out claims on an ACV basis, they will save thousands of dollars. Another example may be when an insurance company does a home inspection and notices that the condition of the roof is not very good, or they ask the age of your roof, and your roof is close to its lifespan. The insurance company may decide to only insure your roof on an ACV basis until you do repairs, or replace the roof. They may give you back your full coverage when you do, or cancel you if you don't. Each company is different. They may also decide to limit coverage, such as exclude coverages from water damage or windstorm and hail but may decide to maintain basic fire coverage. Shopping for home insurance is a key way to make sure you have the best type of home insurance coverage. Just because one insurance company is limiting coverage, it does not mean other insurance companies will feel the same way. If you feel like you do not have good coverage, then shop around. Not having replacement cost coverage on your roof, or having limitations could cost you thousands of dollars. You may have better luck with another insurance company that may be more flexible; it is worth doing some research. Do You Need Special Coverage?